The Word of God explicitly WARNS us that in the latter times, false prophets would arise in significant numbers... “And many false prophets shall rise, and shall deceive many” (Matthew 24:11). 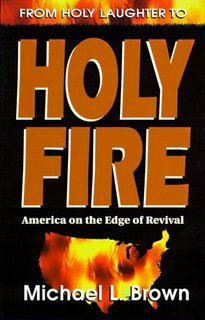 1st Timothy 4:1,2 state, “Now the Spirit speaketh expressly, that in the latter times some shall depart from the faith, giving heed to seducing spirits, and doctrines of devils; Speaking lies in hypocrisy; having their conscience seared with a hot iron.” There is NO bigger group of LIARS today than the Charismatic crowd. From The 700 Club to Benny Hinn, they are all a bunch of lying hypocrites! 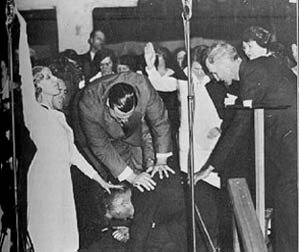 The Charismatic Movement is extensive, being compromised of hundreds of varying denominations, including Pentecostal, and Assemblies of God Churches. 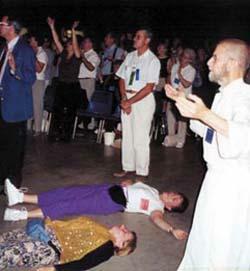 ABOVE: The Charismatic practices of Holy Laughter and Being Slain in the spirit are demonic. No such foolishness is taught in the Word of God. Rather, we read in 1st Corinthians 14:40... “Let all things be done decently and in order.” There is nothing "decent" about falling on the floor during a church service and laughing uncontrollably like an idiot. 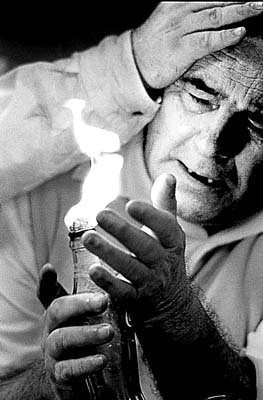 Snake and fire handler, Junior McCormack, A false prophet! 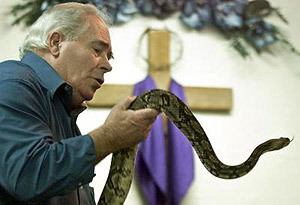 Some preachers have greatly misunderstood the Bible, when Mark 16:18 states... “They shall take up serpents; and if they drink any deadly thing, it shall not hurt them; they shall lay hands on the sick, and they shall recover.” These were sign gifts given ONLY to the Apostles. This is clearly evidenced by the FACT that Paul couldn't heal his friend Timothy (1st Timothy 5:23), nor could he heal Trophimus (2nd Timothy 4:20). It is also further evidenced by the FACT that not one preacher alive today can empty out the local hospital of sick people. We know from James 5:15 that God DOES still heal the sick in response to prayers of faith, but no one has a gift of healing today. For an excellent in-depth Biblical exegesis on this topic, please read FACE TO FACE WITH TONGUES by Pastor Max D. Younce. 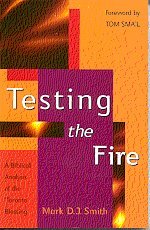 The tongues-speaking of Charismatics today is 100% different than the gift of tongues which were spoken back in Bible times. In the Bible, God always initiated the miracle of tongues, and not men. It always involved known, established, earthly languages; not some unknown jibber-jabber! Today's speaking-in-tongues is practiced by a bunch of apostate religious clowns. It's a devil's circus of religious freaks and mutants! It is tragic that churches today have become entertainment centers with giant projection screens, movies, and where talent is glorified more than the Words of God. 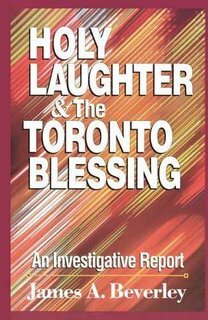 Benny Hinn's crusades are similar to Rock concerts, and Hinn the idolatrous rock star. People fall for that stuff big time! 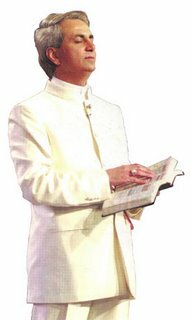 Also, please read The Hidden Heresies of Benny Hinn. Wayman Mitchell and his ministries, THE DOOR and VICTORY CHAPEL are of the Devil. Former members have reported being bullied, publicly humiliated and swindled out of their money. Their ministers are known for openly attacking people who are not members of their cult. I experienced such an attack myself, being told that it's my fault for having peripheral neuropathy (pain, tingling, puffiness and burning in arms and legs caused by nerve damage) because I had not attended their healing service. I can't think of anything more cruel verbally than to tell a person with a health burden that it's their fault for not being a Charismatic. That is demonic false religion. Such healing services have been proven to be fraudulent. 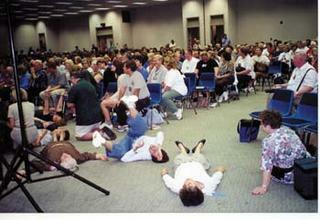 I personally attended a Wayman Mitchell healing meeting and heard him speak in demonic tongues. 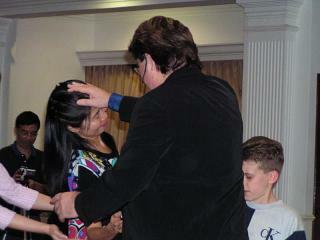 He placed hands on people and claimed they had been instantly healed. All of the people allegedly healed were people who had claimed to have suffered from a back ache for 20-years, or difficulty hearing, or arthritis for 15-years (all symptoms that cannot be visibly confirmed if there were actually healing). This is standard practice for lying Charismatics who claim that healing happens at their meetings. It doesn't! 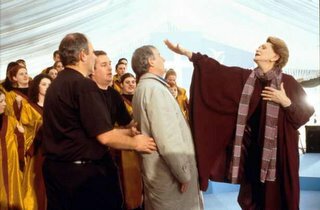 Here's a powerful documentary film exposing the evils of televangelists! TV preachers are as bad (if not worse) than greedy lawyers! 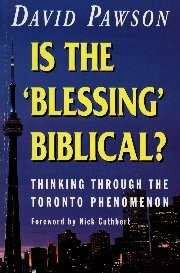 I spoke with a Charismatic minister who became frustrated that I knew enough Bible to defend myself against his false doctrines. His pastor in Colorado is a Korean woman. 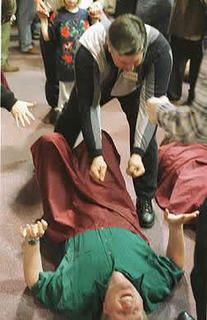 They speak in tongues, teach that salvation can be lost, and hold healing services. When he saw that he couldn't convince me, he asked me if I had ever seen the blind to see, the deaf to hear and the lame to walk. Of course, no one has seen these things. No one! I know that because the Bible teaches that ONLY Jesus Christ is able to perform such miracles. Jesus said if you don't believe His Words, then believe because of His works (because NO MAN ever did such works). This is important to understand! John 15:24, “If I had not done among them the works which none other man did, they had not had sin: but now have they both seen and hated both me and my Father.” No one today can do the works which Christ did. Criss Angel stated publicly that he walks on water and attempts to imitate Christ's miracles to disprove Jesus' deity. That's blasphemy against God! This is abundantly clear from numerous Scripture passages. By the end of the New Testament and the completion of the Bible in A.D. 96 with the Book of Revelation, all miracles of healing and tongues had forever ceased. The Bible clearly forbids women from taking charge in the church over men, or leading men. Women are to remain silent during church services, and show respect for the men of the church. 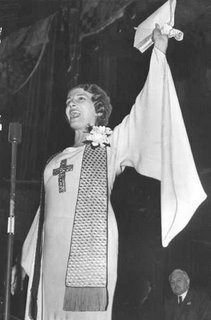 Feminism is a demonic philosophy, which has crept into most of America's churches. As a tragic consequence, divorce has skyrocketed, and our churches have been infested with all sorts of doctrines of devils (1st Timothy 4:1). 1st Corinthians 14:23 is clear Biblical evidence that God is concerned about the way the world views us as Christians. Matthew 5:16 states... "Let your light so shine before men, that they may see your good works, and glorify your Father which is in heaven." 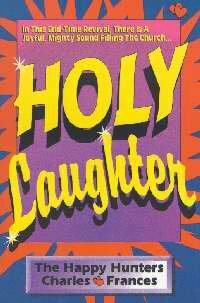 Do you think God is glorified when people are Laughing, Oinking, Barking, Jerking, and Getting Drunk... in God's Name? No, the unsaved world thinks such religious people are CRAZY! This is exactly what the Apostle Paul warned against in 1st Corinthians 14:23, "...will they not say that ye are mad?" 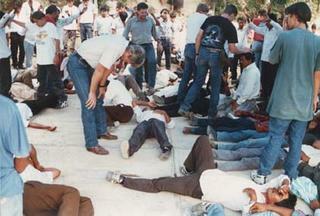 The Charismatic Movement makes a mockery of the Word of God. They behave like complete idiots, and cause sensible people to steer away from such bizarre tomfoolery. 700 Club Psychics? Clairvoyants for Jesus? I generally don't care much for religious programs. However, knowing that millions of people are attracted to such programs, I find myself compelled to see exactly what people are being dished out by these so-called "Christians." I've been watching The 700 Club lately, analyzing it, and I see Satan at work. I see them as borderline psychics, who exploit Christianity to make money and con people. Someone with an "abscessed right tooth," has just now been healed. 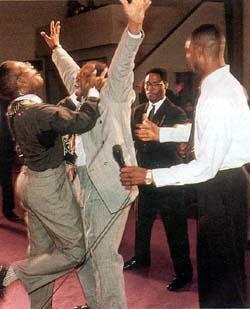 Someone with "twisted intestines" has just been healed. 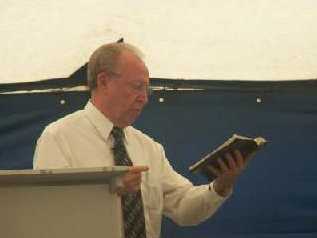 Then Terry said there was a person with a "strange condition," a burning in the legs, who has just been healed. Then Gordon said there's a man with swelling of the sinuses in his right cheek, with much pain behind the right eye, but he is now healed. Someone with a painful right elbow joint no longer has any pain. Someone with a problematic right hip, limited mobility from a stroke, is now able to walk. Terry said she saw someone with severe stiffness in the neck bone, but didn't know the exact ailment--that person is now healed, terry said. Someone paralyzed on the right side, particularly the right side of the face, has just been healed. A man with a plate in his skull is having continual problems, and the doctors just don't know what to do. Terry said she saw the bone reforming around the plate and the man's pain was gone, he was now healed. These are the crazy and absurd claims of these so-called "Christians." As I listened to their bizarre claims, I wrote them down, as listed above. How can they claim to see such healings? Folks, this is CLAIRVOYANCE (i.e., Apparent power to perceive things that are not present to the senses), and is exactly what the Satanic psychics do!!! 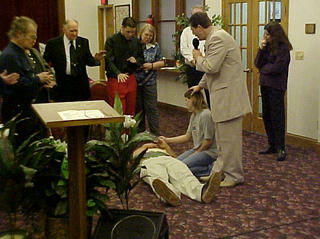 How in the world would Gordon Robertson and Terry Meeuwsen know who is being healed? How can you see someone's bone reforming inside their head? The Word of God never teaches any such demonic practice. I dare you to show me from the Bible, where God said he would give us some mystical power of being able to see or know what is going on in someone else's body. It is extremely dangerous to dabble in familiar spirits. The hosts of The 700 Club are leading the public to believe that they have some special power with God, the ability to see who is being healed. They do not! 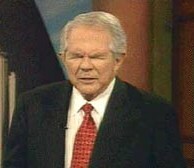 It is a psychological scam to seduce suffering people into giving The 700 Club more money. And it works! The Christians Broadcasting Network (CBN) took in $160,000,000 in 2005 alone!